Meet Laura: she is a 4th year PhD student who has completed all her course work and is working on the final stages of her project. Laura studies seizures in a mouse model, and relies on sufficient subjects for her studies to move forward. She has had several periods of months where she has been mostly waiting for resources. During this time she keeps herself busy by catching up on the literature and she has taken up a few more hobbies. However, Laura’s funding has also run out and she needs to start thinking about sources of work.It also doesn’t hurt to add more experience to her CV for her post-doc applications. Meet Claude, on the other side of the country, who is running a lab studying depression. He is interested at looking at a new avenue of inquiry, studying depression as it relates to seizures. While he is an experienced researcher, he needs help preparing an experimental plan for this new study focusing on seizures. Research is almost synonymous with waiting. Laura is an expert in the field, but Claude and Laura may not meet through traditional means. Even if Claude reads one of Laura’s publications, he does not know if she would have time and a desire to collaborate with him on his new projects. Here we see a disconnect in science that is stifling on many fronts: researchers’ time not being optimally utilized (Laura), and research projects not moving forward at the speed they could due to a lack of expertise matching the parameters of the project. Claude now spends countless hours reading literature to design a series of new experiments, but he is unsure if his approach will work. He contacts a few authors for advice, and after a few weeks hears back from one of them. Research is almost synonymous with waiting. For being reliant on innovation, it is an area marred with delays and patience: delays in starting your career as faculty for another post-doc position, delaying a project due to restricted resources, delaying publication of an article because it requires another round of editing and you have grant proposals due. Keeping the train of science moving forward takes quite a push for a large number of professionals. And when that train stops, many don’t know what to do. In a perfect world, researchers would not experience any extended periods of dwindling productivity and delays. In that same perfect world, projects are moved forward quickly because the expert needed is on hand to provide advice or help in the execution. There are some fundamental disconnects in the traditional research process where while we like to think the world is becoming more interdisciplinary, true cross-departmental collaborations are still not that common. 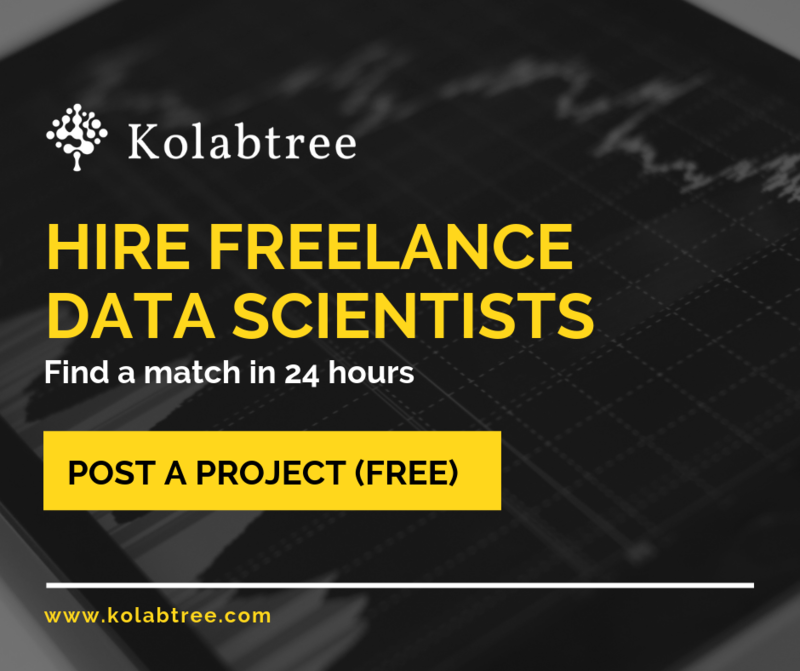 With Kolabtree we are closing the gap between research projects and expertise. Whether a project just needs a quick round of editing, some advice or large scale support (e.g. screening 500 samples), traditional means are not the most effective or efficient way of matching project to expert. We are trying to create an environment where we come closer to that perfect world scenario. Looking for help with a project? Connect with 7,500 freelance scientists worldwide.